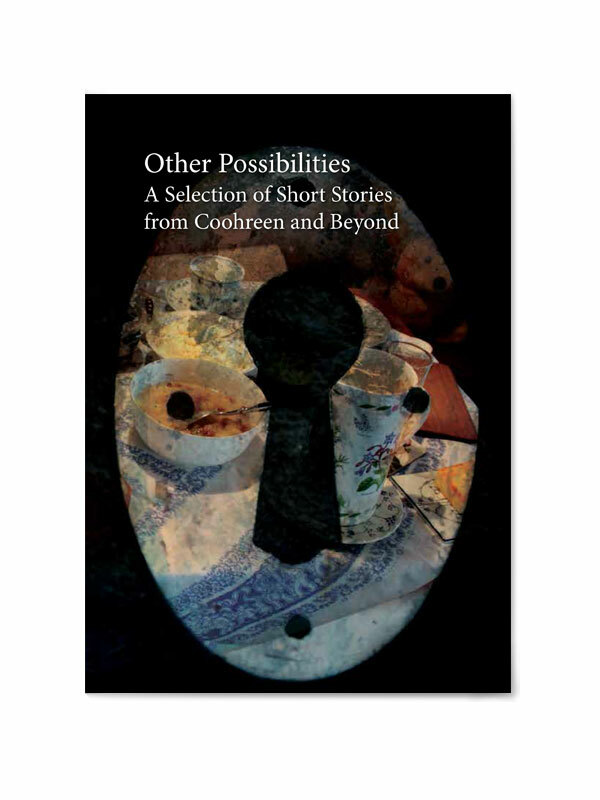 Other Possibilities was a very interesting design project. Artist Sarah Fuller has developed a method of engaging people with dementia in animated conversation and adventures. When a small group of people with dementia were shown everyday objects, this would trigger associations and lead on to fantastical stories and portrayal of the way their minds were working with special logic. Sarah recorded and transcribed these conversational texts and added some artwork and moody photographs of the objects. I treated the design and layout of the text in a whimsical way, reflecting the fantasy of the conversations and allowing me to play with typography in an alternative way. 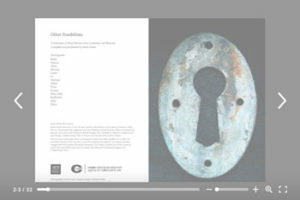 For the front cover I took the motif of the keyhole transposed over a cluttered kitchen table – and to suggest alternative ways of looking (and unlocking), rather than looking through the keyhole, we see through the lock fixture itself. The non-transparent, opaque version of the same lock photo is featured immediately inside. Avery similar, but somehow alternative version of the same reality is visible on the back cover. The booklet is an A5 format, 16 pages, plus cover. A very nice and respectful way to portray dementia and provide help for others to engage intellectually with people experiencing the condition.